There is no denying that New York is a great state for doing business in the US. 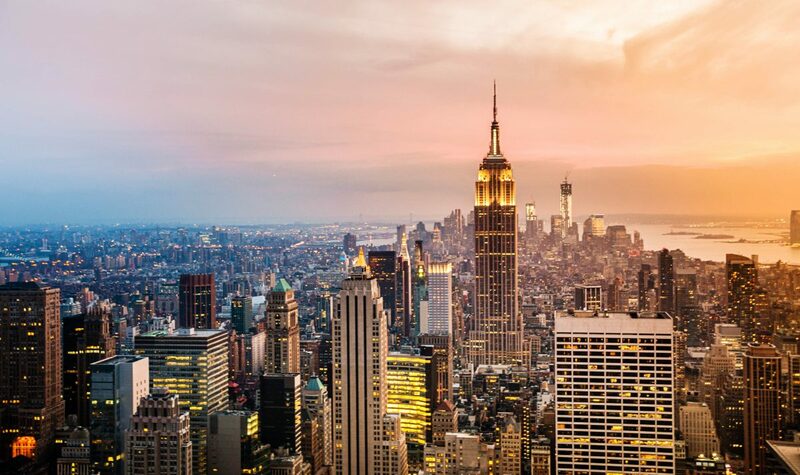 With a large population, thousands of businesses and service providers and a culture and climate that favor businesses, starting your business in New York is a no-brainer. No matter how brilliant your concept or how expert your staff, part of succeeding in business is selecting the business entity that will give you the most protection and the greatest benefits to meet your needs. Many people start small, hoping to grow in time, and they choose to operate as a sole proprietorship or simple partnership to save money and avoid paperwork. However, doing so is generally not wise. Those entities do not protect you and your assets from business blunders and debts, and operating as such can put you and your family at risk of losing all your assets. In the eyes of the state, when you operate as a sole proprietorship or simple partnership, you are your business and your business is you. Thankfully, there are options that protect you from the fallout of bad business decisions and overdue business bills. When you structure your business as an LLC or a Corporation, your business is considered a separate entity from its owners in the eyes of the law, and you cannot be held personally responsible for its liabilities. The critical thing is to understand the difference between an LLC and a Corporation, so you can get your business off to a great start. Both INCs and LLCs have their advantages and disadvantages, which will depend largely on your business plans and goals. If your dream is to become huge and offer public stock options, a corporation is a better choice. If you want the protections of a corporation, but with less paperwork and oversight, you might do better with an LLC. Your LLC’s owners, called members, can choose how they want to be taxed: as a corporation, partnership or sole proprietorship. This means you can submit your business tax returns as part of your regular income tax, or you have the option of having the business pay taxes on its profit, as with a corporation, and then you will also have to pay taxes on any revenue you withdraw from the business. If the LLC members choose to be taxed as a partnership, New York law imposes a fee, which is determined by multiplying the number of LLC members by $50, with a minimum fee of $315 and a maximum fee of $10,000. Filing fees paid to the New York Department of State are similar for LLCs ($200) and INCs ($125), but New York’s publication requirements for a new LLC make it somewhat more expensive than forming a corporation. An LLC is required to publish a notice of formation in the county of its origin, once per week in two different newspapers for six weeks, which in some counties can be quite expensive. An LLC’s members must create a formal Operating Agreement within 90 days of formation, that details the rights and obligations of all LLC members. A corporation is taxed on its profits, and shareholders are also taxed on any distribution of profits they receive, effectively amounting to double-taxation. A corporation pays a filing fee of $125 to the New York Secretary of State to incorporate. The formal requirements of a corporation are probably the biggest thing that puts it at a disadvantage over an LLC. A Corporation is required to hold annual meetings of directors and shareholders, and it must document important business decisions in minutes of meetings, and maintain written resolutions. Now that you know the difference between LLC and INC, you are ready to make a decision about which business entity is best for you. The next step is to submit the proper forms and fees, and jump through all the hoops required by the New York Secretary of State. Thankfully, you do not have to muddle through it by yourself. Let Windsor help you with our easy and convenient packages that take the guesswork out of establishing your business entity, and guarantee that everything is done correctly, according to NY State requirements. At Windsor, we have the experience and expertise to help you get your business up and running with the least hassle and in the least possible time. At Windsor, fast is accurate!